The series begins in U.C. 0001, at the very beginning of human space colonization, when a space colony called Laplace is destroyed during a ceremony hosted by the Federation's Prime Minister ushering in the Universal Century dating system. The main story takes place in UC 0096, three years after the events of Mobile Suit Gundam: Char's Counterattack and 27 years before Mobile Suit Gundam F91. 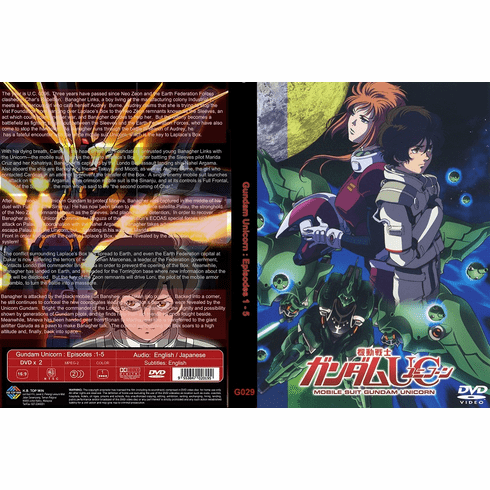 The story revolves around Banagher Links, a seemingly normal boy living and going to school in the space colonies. His life changes one day when he meets a girl named Audrey Burne, as the encounter brings him into contact with a new Gundam and its connections to an item called ""Laplace's Box.